Note: I am currently working on this story and when it is done I will remove this notice. This is a story I have wanted to write for a long time. In the past 9 years I have tackled the subject of creating a topographical overview of each iconic Rolex in my series titled, "The Complete History of the Rolex _____. 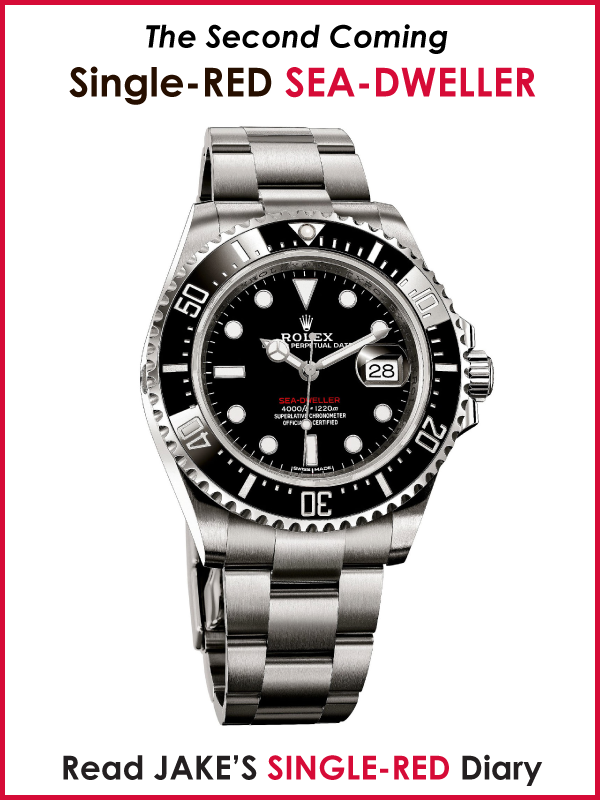 This series includes my series on The Rolex Submariner & SEA-DWELLER, GMT Master, Daytona, Explorer, Explorer II, Milguass, Oyster, Air-King, Yacht-Master and Day-Date, also known as 'The Rolex President'. 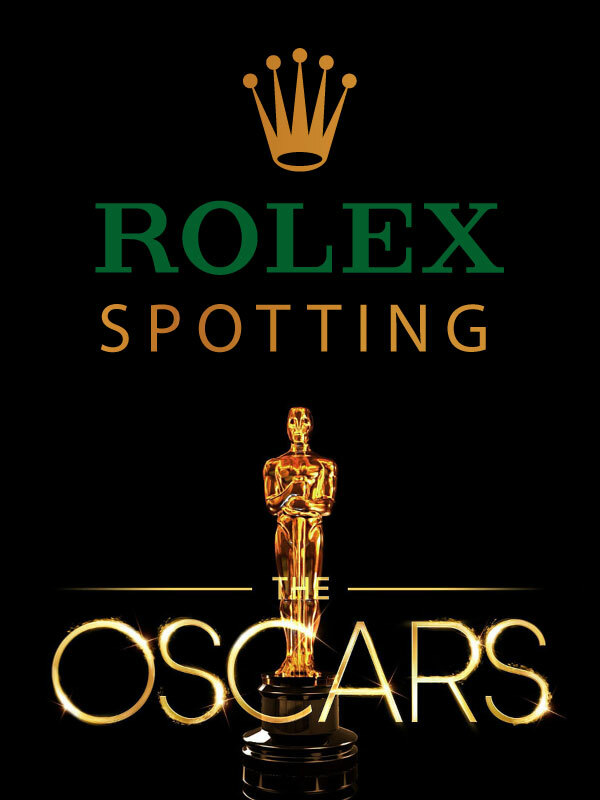 I have even extended this to cover James Bond Rolex History, Rolex Leadership, California Dial and The Rolex Woman. 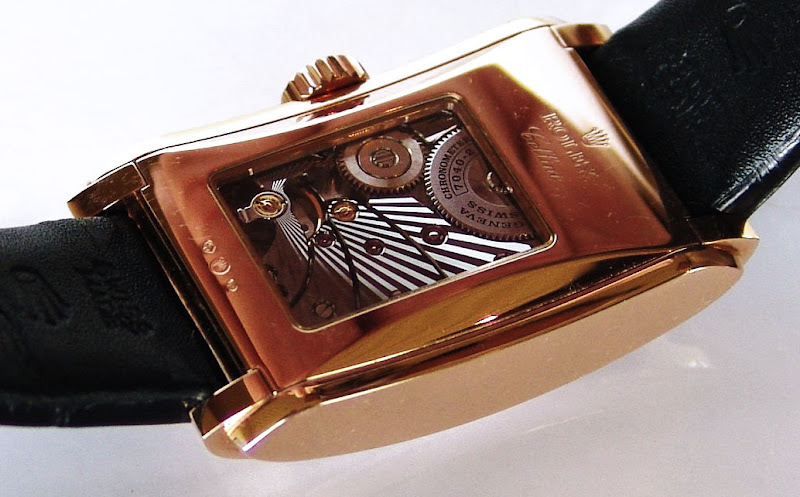 Today, I am adding the Rolex Cellini to this long and fascinating list. 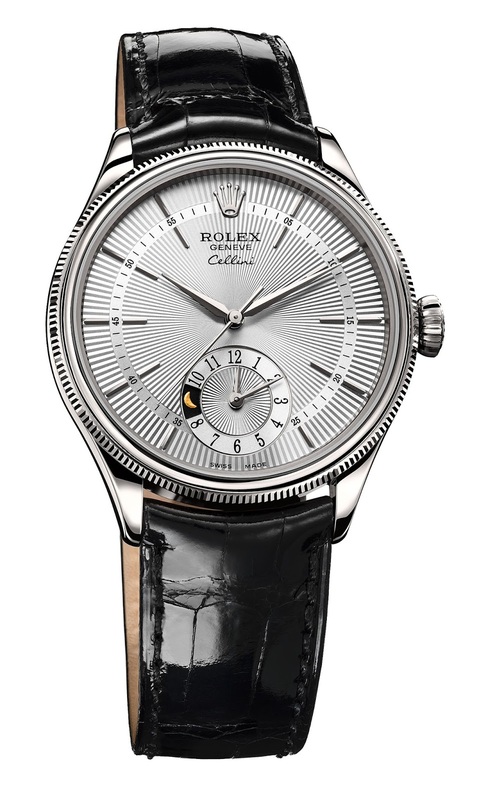 Rolex still makes a Rolex Cellini line, but it has morphed into something quite different than the way it began. 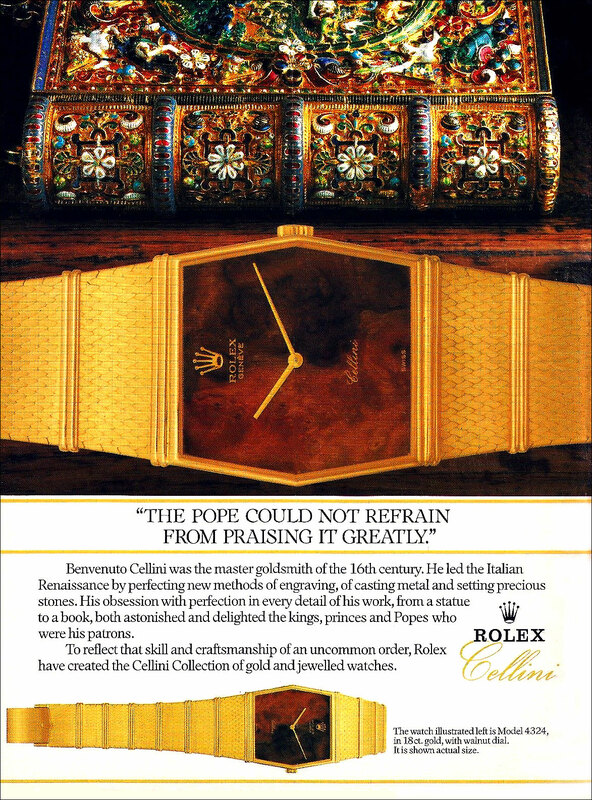 The Rolex Cellini magazine ads that appear above and below are both from the same 1986 series. 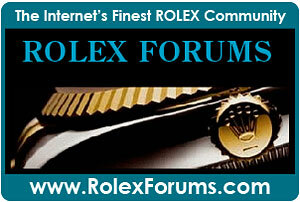 These ads really kind of sum up the essence of the Rolex Cellini line and its design ethos. 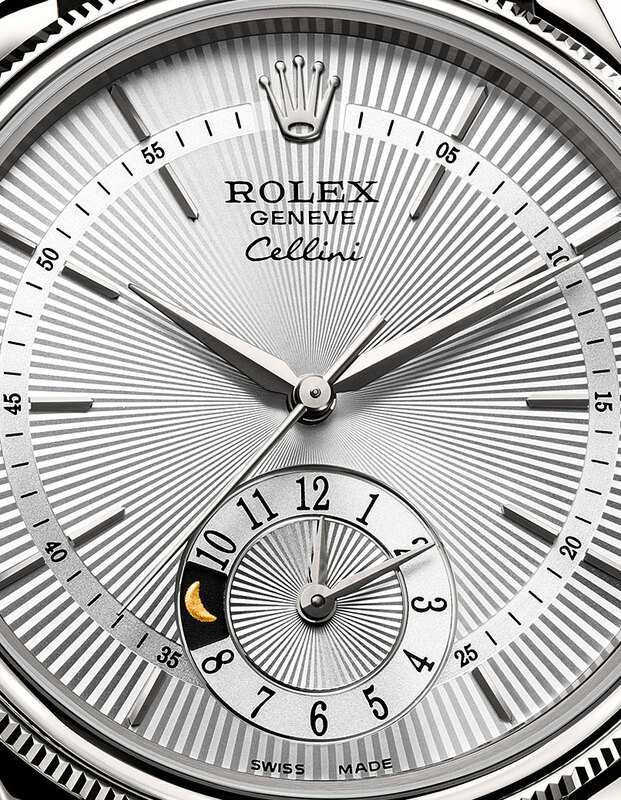 The Rolex Cellini line was the brainchild of Rolex Director, Rene-Paul Jeanneret. 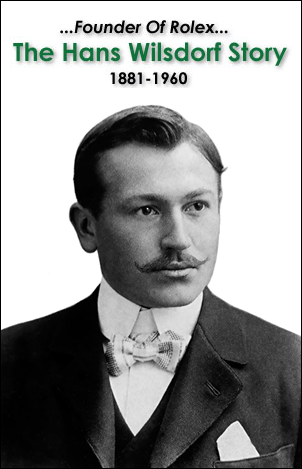 Rene-Paul Jeanneret was very close with Rolex founder, Hans Wilsdorf and he was a key player in Rolex history, but very little is documented about his brilliant career with Rolex. 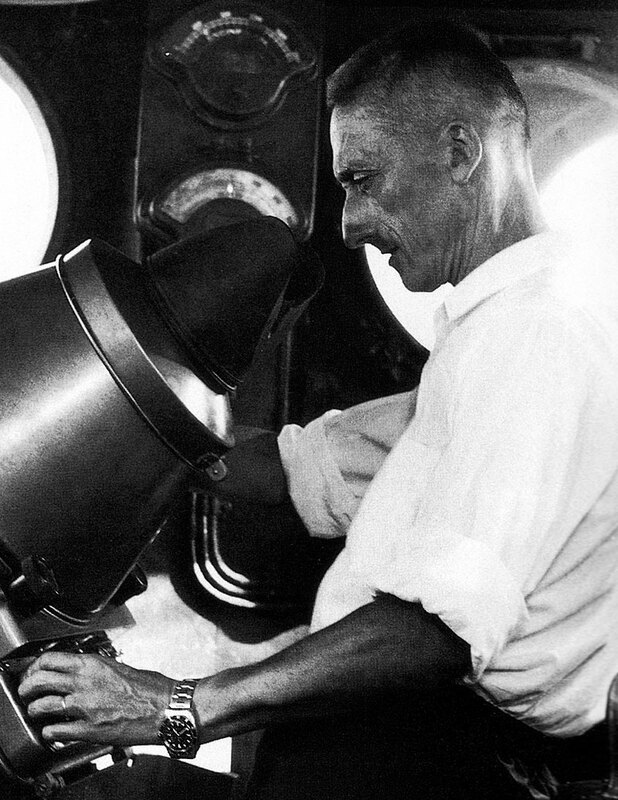 Rene-Paul Jeanneret was good friends with legendary Rolex Explorer Jaques-Yves Cousteau, and he convinced Captain Cousteau to help him develop the now legendary Rolex Submariner. Rene-Paul Jeanneret is the man from Rolex who is largely responsible for coming up with the idea of the 'The Rolex Tool Watch" in the mid 1950s. Rene-Paul Jeanneret's challenge he overcame as the Director of Marketing for Rolex is that it was customary for somebody to get a Rolex when they graduated from College, and when the retired many decades later, they would get a gold Rolex watch. He wanted to come up with a way to get men and women to purchase and own multiple Rolex watches, thus he came up with the concept of the Rolex Professional Watch Series, which in many ways were 'Fantasy' watches. 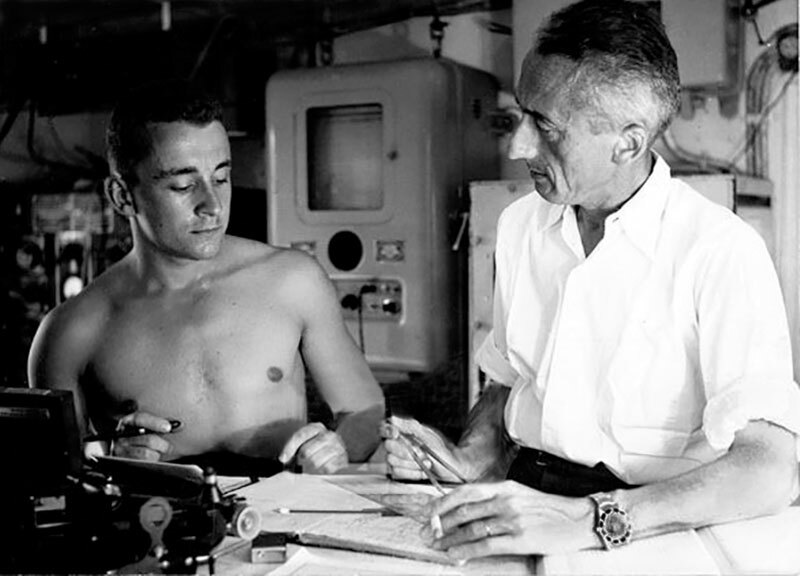 In other words, if a man wanted to be like Jacques Cousteau, he would wear a Rolex Submariner or SEA-DWELLER. If a man wanted to be like a Pan-American Pilot, he would buy a GMT-Master. 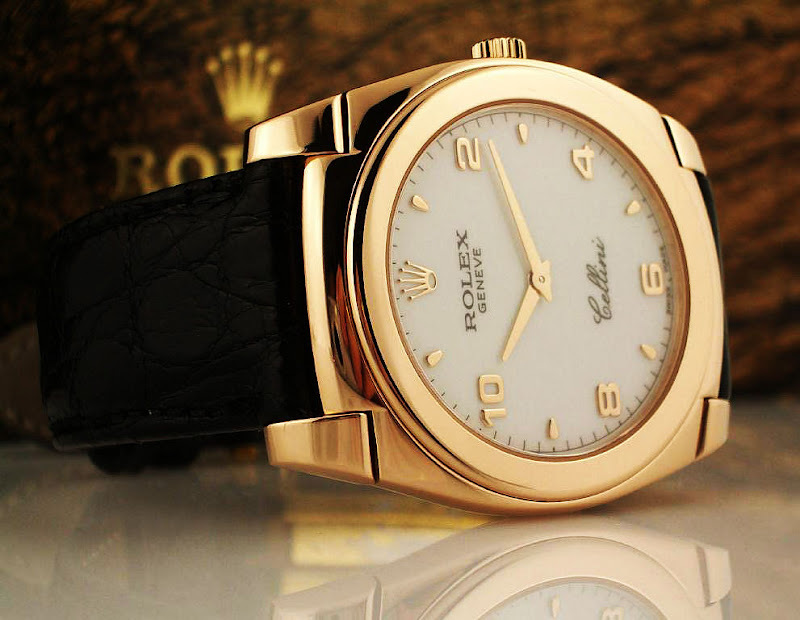 If a man wanted to be like a President, he would buy a Rolex Day-Date. 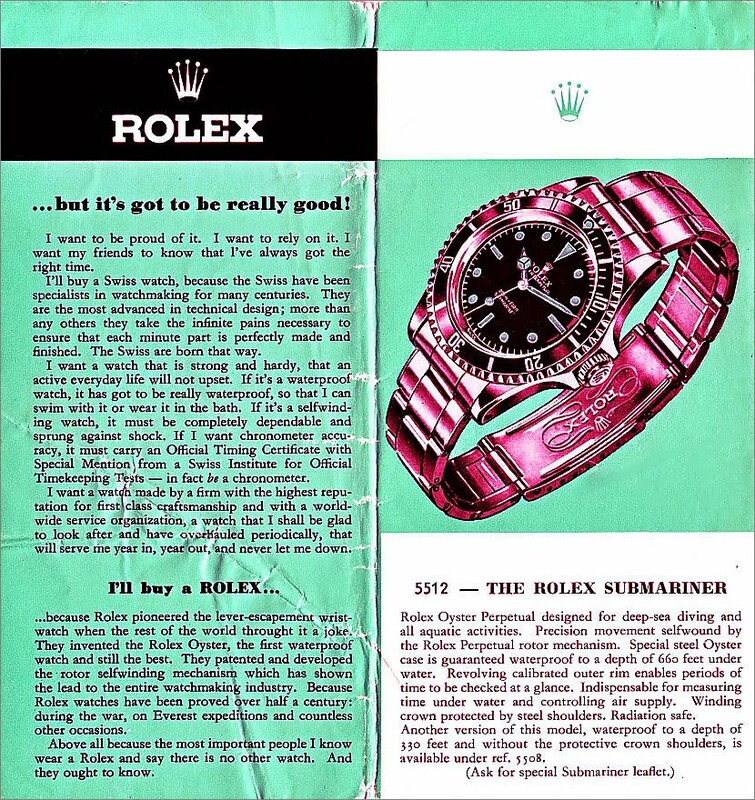 The Rolex Submariner magazine add seen below began running in 1955 and the version below is from 1957. 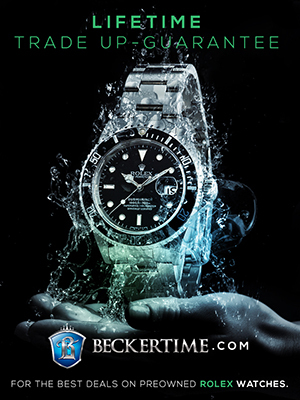 This fascinating magazine add for the Rolex Submariner really illustrates Rolex's adroit marketing messaging that has been extremely successful. 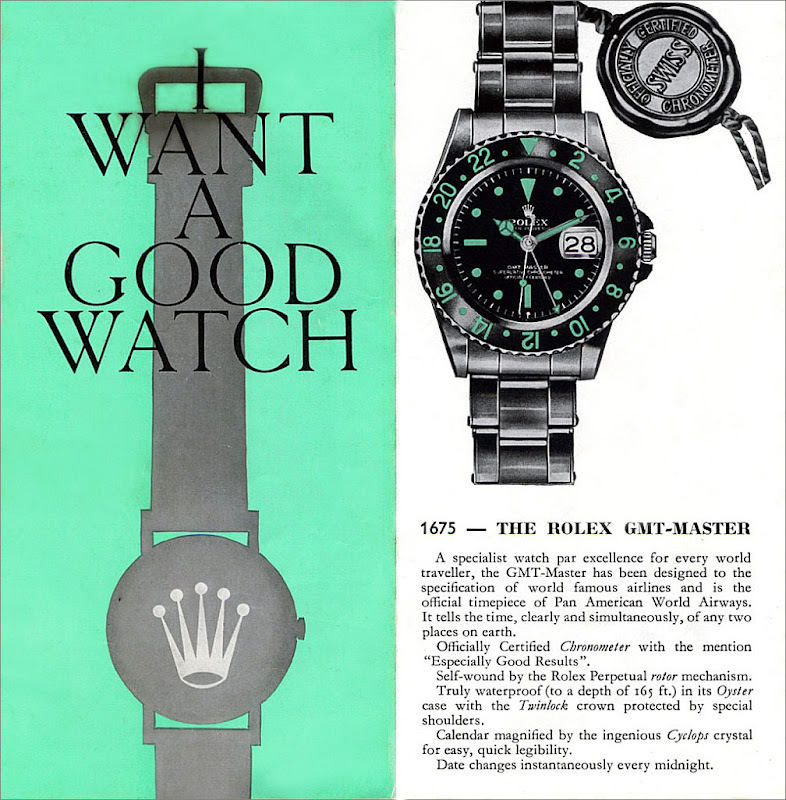 Rene-Paul Jeanneret's notion that every ambitious man or women should strive to own multiple Rolex watches started making its way into Rolex ads in 1963, when André Heiniger took over as the first official CEO of Rolex, after Rolex founder Hans Wilsdorf passed away. Oleg Cassini began his career dressing actresses in Hollywood at Paramount Studious, and was probably most famous for dressing famous women, which included Jacqueline Kennedy while she was the first lady. 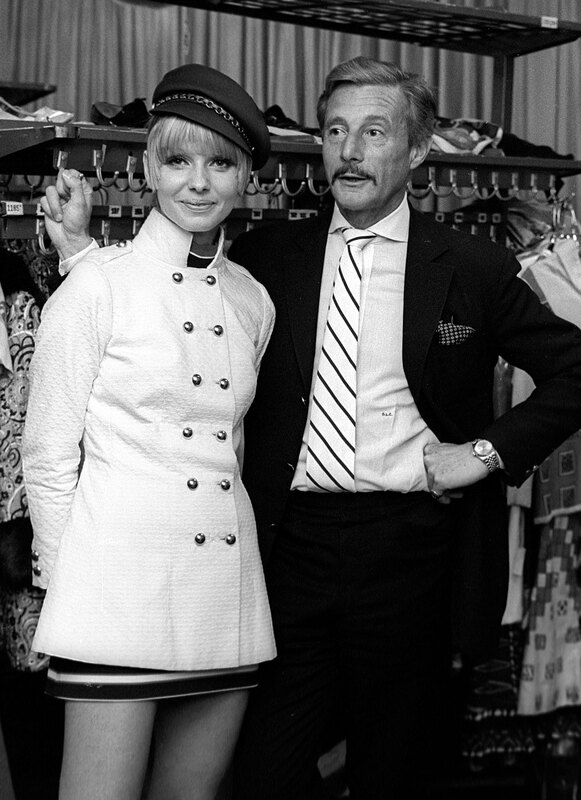 "The Jackie Look" was invented by Oleg Cassini. 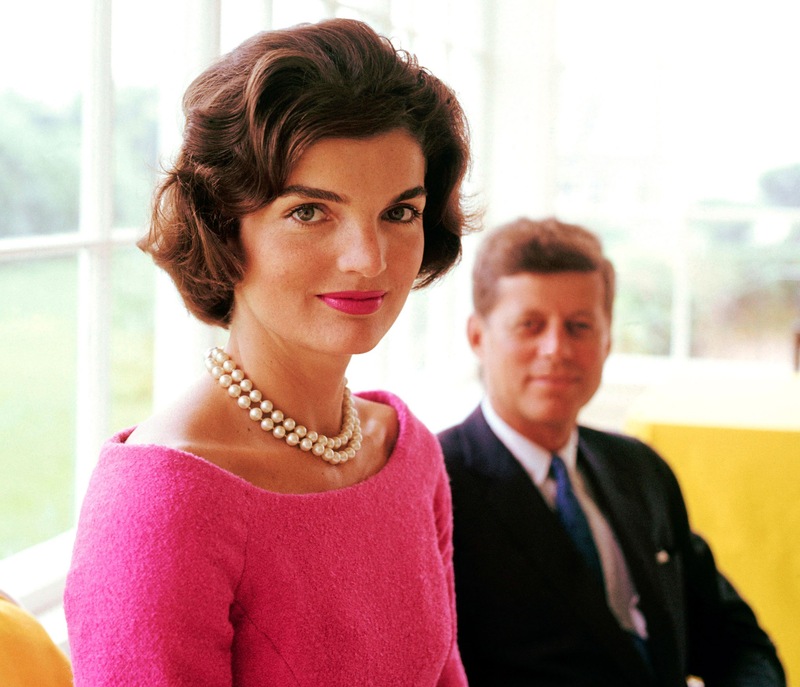 In 1961, First Lady, Jacki Kennedy appointed Oleg Cassini as her exclusive couturier and dubbed him as her "Secretary Of Style." Upon his appointment as her exclusive couturier, Oleg Cassini said, "We are on the threshold of a new American elegance thanks to Mrs. Kennedy’s beauty, naturalness, understatement, exposure and symbolism." This significantly elevated Cassini's status and prestige in the fashion world. Oleg Cassini also dressed many other influential beautiful women including Grace Kelly. 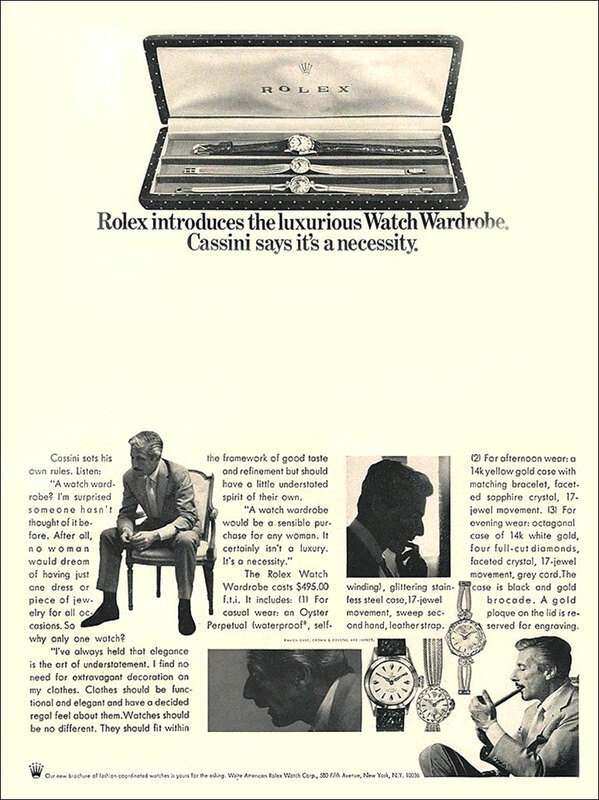 The 1963 Rolex ad below features Oleg Cassini, who at the time was one of the most successful and iconic designers in the world. 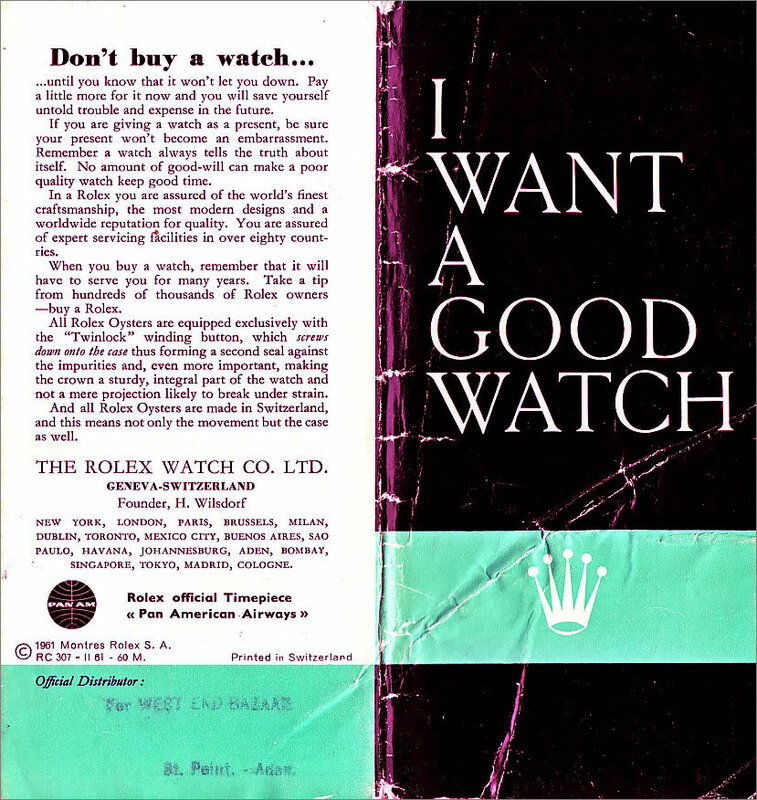 The marketing message in this ad is crystal-clear, and this time in Rolex history also represent a demarcation point where Rolex evolved from being a company that made "Good Watches", to becoming the Luxury Watch brand. Contrast the Rolex marketing message approach seen above from 1963 with the Rolex brochures below that were published from 1959 to 1961 that revolved around the theme of "I Want A Good Watch". So the obvious question is what happened or changed between 1959-1961, and 1963? The answer is simple. Hans Wilsdorf, the founder of Rolex perceived Rolex as an innovative brand that made the best watches in the world. When Hans Wildorf passed away in 1960 he left a huge void in the sense that he was the only Director (CEO) Rolex had ever known. André Heiniger was appointed the CEO of Rolex in 1963, and he made a bold departure from Hans Wilsdorf's approach to the marketplace. André Heiniger brilliantly saw and reinvented Rolex as a Luxury Brand. There is a famous story where a friend of André Heiniger asked him "How's the watch business doing?" to which André Heiniger responded "I have no idea." His friend laughed, not realizing that André was being serious. André continued "Rolex is not in the watch business. We are a luxury business." 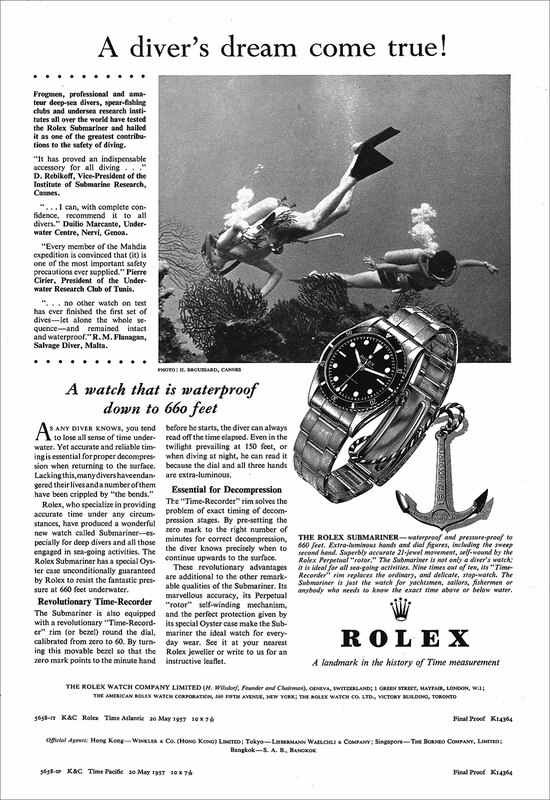 Rolex continued to grow exponentially after World War II had ended, through the 1950s and 1960s. In the late 1960s, Rene-Paul Jeanneret reportadly called upon Gérald Genta to assist with developing a new line of Rolex watches. 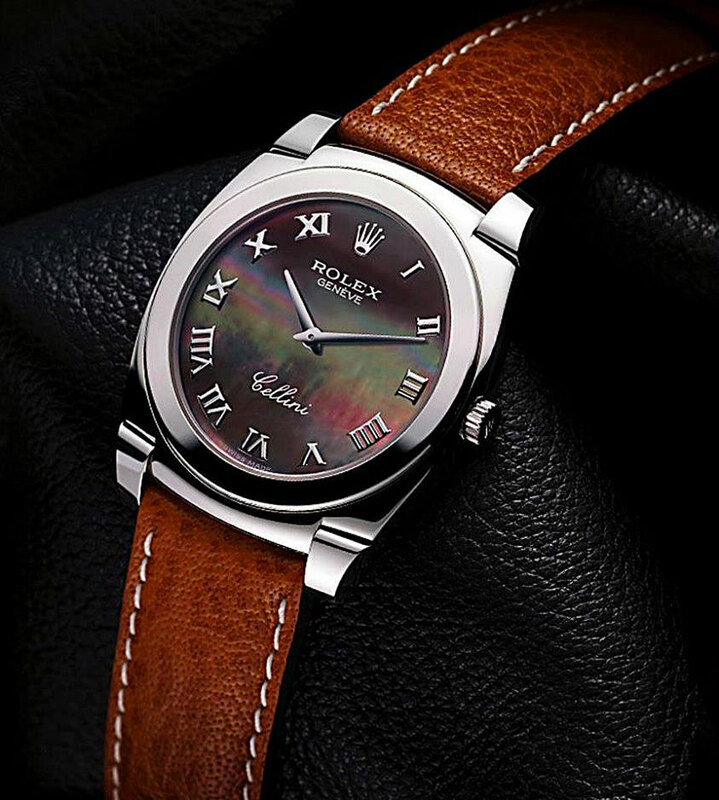 The idea was to offer men and women an alternative look to the classic Rolex Oyster watches that had been Rolex's bread and butter for many decades. 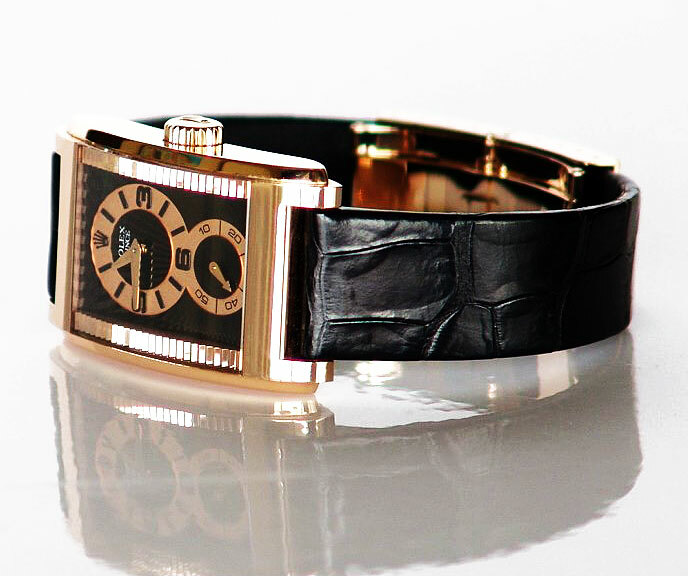 Rene-Paul Jeanneret wanted Rolex to create a new lines of watches that were modern, skinny, elegant, and streamlined. According to Rolex expert Stegano Mazzariol, "At the end of the 1960s, Rolex entrusted a project to create an innovative and important jewelry watch to Mr Gerald Genta, who taking inspiration from ancient Greece and it's mythology, chose the name of Kind Midas." King Midas was a mythical Greek King, who had the 'Magic Touch'. The legend said that "Everything King Midas touched, turned to gold." 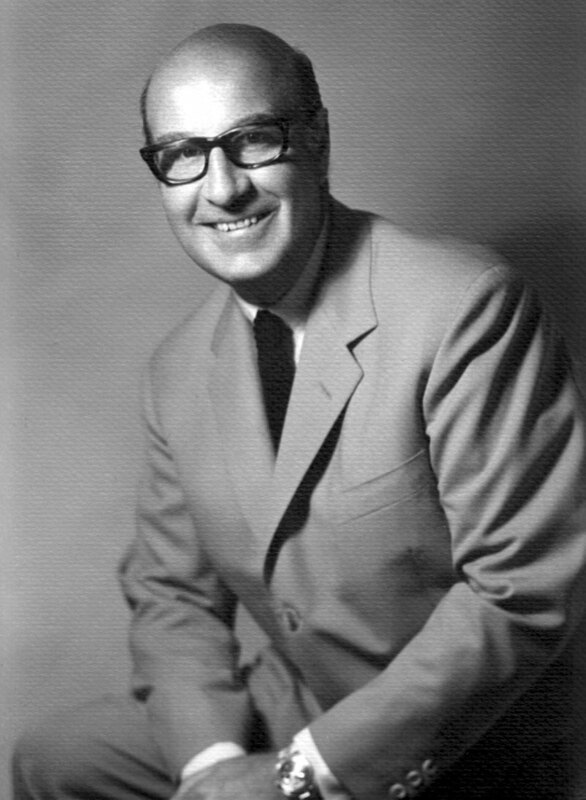 Gérald Genta was a famous jewelry desiger who designed watches for Patek Philippe, Cartier, Omega, IWC, Universal Genève, Chaumet, Van Cleef & Arpels, Vacheron Constantin, Piaget, Breguet, Bvlgari and Audemars Piguet. In December of 2009 Gérald Genta was interviewed by Constantin Stikas and shared some fascinating insight into his amazing watch design career. 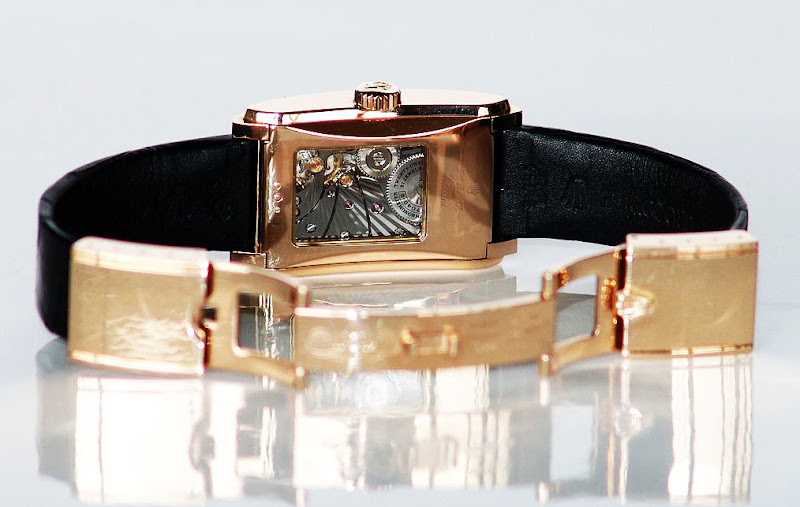 Constantin Stikas asked Gérald Genta: "How did it come about that you have designed all these watches all on your own? 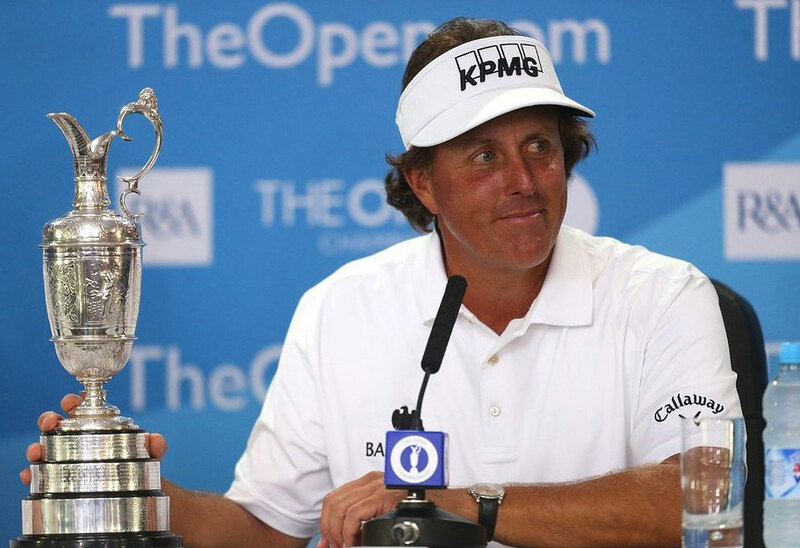 Didn't you have any competitors at the time?" to which Gérald Genta responded, "This profession did not exist before me. I invented it— drawing my inspiration from the work of the foremost designer worldwide, Raymond Loewy, who designed the American railways, the Shell logo, the Lucky Strike cigarette pack, etc." 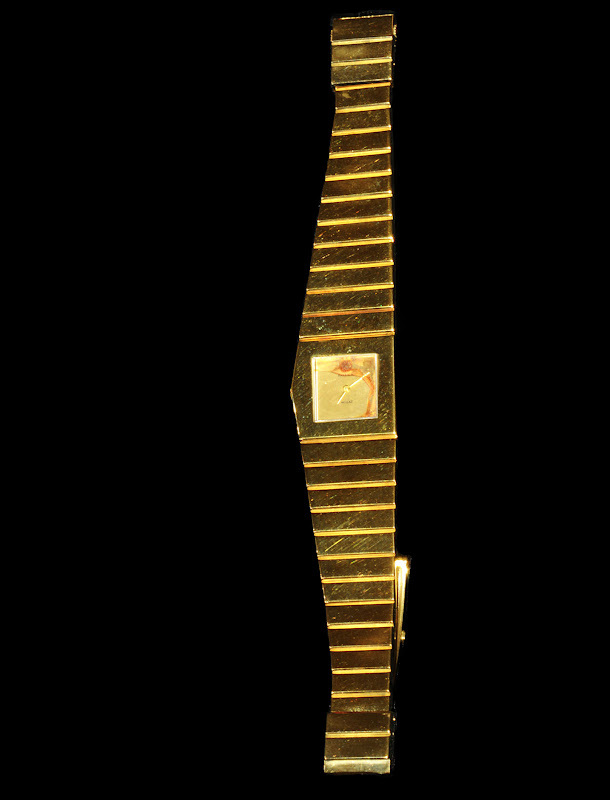 Constantin Stikas also asked Gérald Genta, "Is there a watch you would have liked to have designed?" Gérald Genta responded, "I regret not having designed the (Rolex) Oyster! Because, to me, it represents the biggest success in watchmaking. 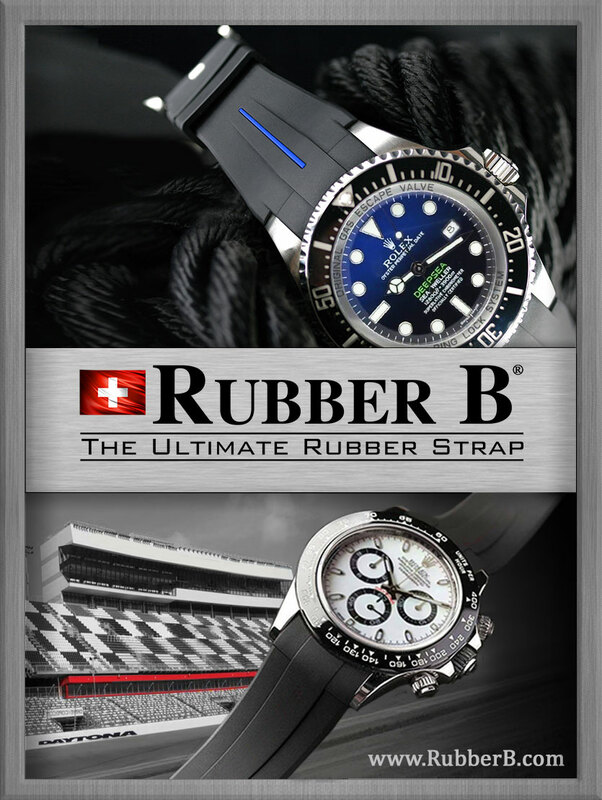 Today, we cannot possibly stand up to and pose a challenge to the (Rolex) Oyster in terms of stylistic breakthrough! I am alone in saying this! 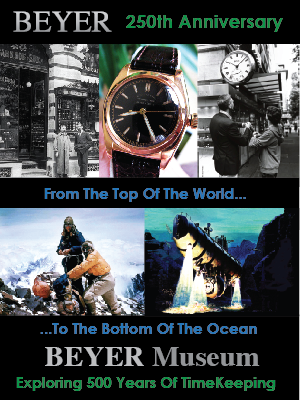 People say 'Oh, I don't like the Oyster'...Trying to create a watch that manages to achieve success for over 70 years! 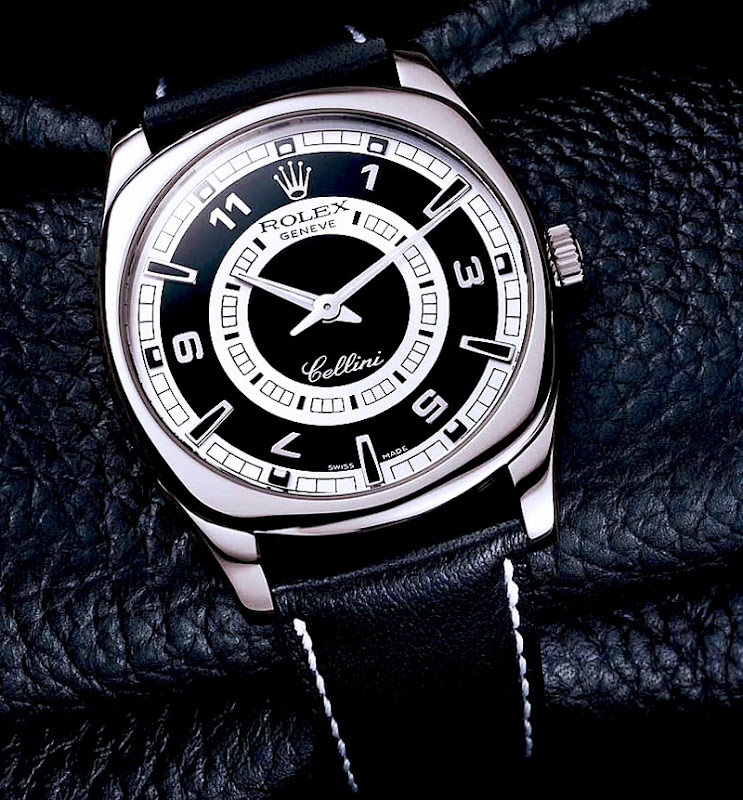 That is extraordinary..."
Gérald Genta not only designed a Rolex Cellini, but was reported on January 5, 2016 by Rolex watch authority, James Dowling to have designed Rolex's first Quartz watch model which was designated as Rolex Reference 5100, and made its debut at BaselWorld Fair in early 1970. Constantin Stikas' 2009 interview of Gérald Genta seems to contradict James Dowling's perhaps false assertion that Gérald Genta designed the Rolex Quartz Reference 5100. In that interview Constantin Stikas asked, "The identity of the person who created Oyster remains obscure?" Gérald Genta responded by saying, "Yes this happened 70 years ago. Personally, I have only designed one Rolex, which still exists today and forms part of the Cellini collection." The obvious question here, is whether or not he is referring to the Rolex King Midas, or a different Cellini model. 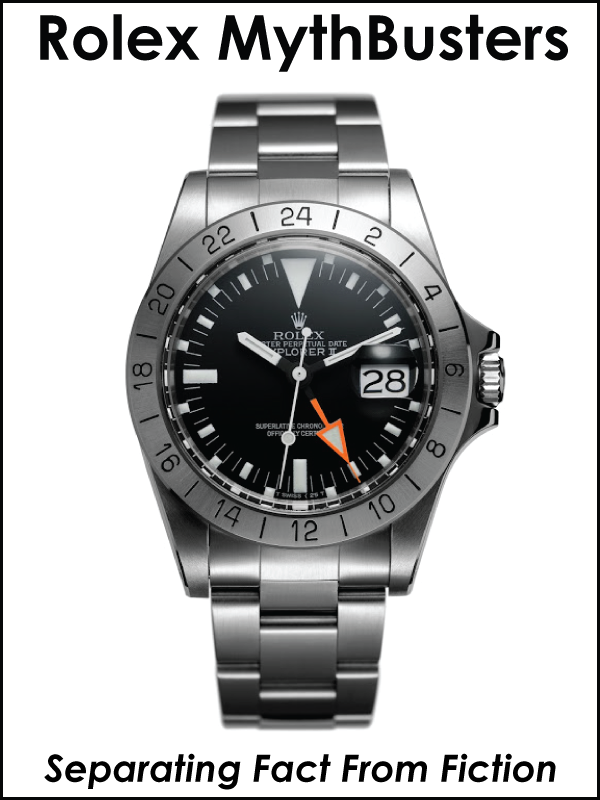 As we see, Constantin Stikas' Gérald Genta's 2009 interview directly contradicts James Dowling's assertion that he designed the Rolex Quartz Reference 5100. How can this be reconciled? I don't know. My best guess is that James Dowling was confused by his interviewees statements. Suddenly it all fell into place: the Oysterquartz was designed by Rolex, no doubt about it, but its design was heavily influenced by the design of the Texan, which we now know was designed by Genta. 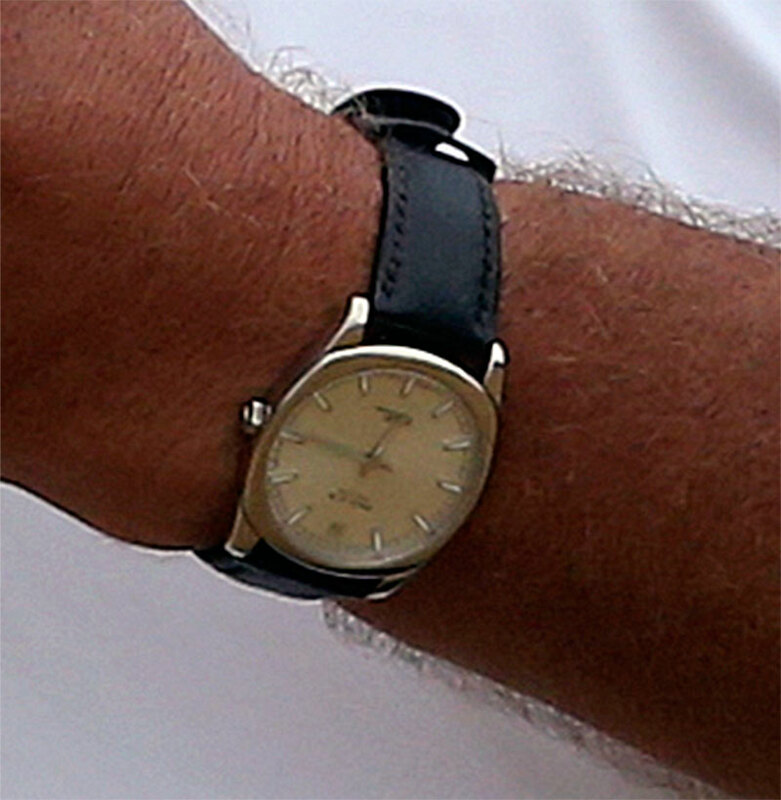 The Texan was launched in March 1970, meaning it was designed in late 1969; the Royal Oak came just two years later. 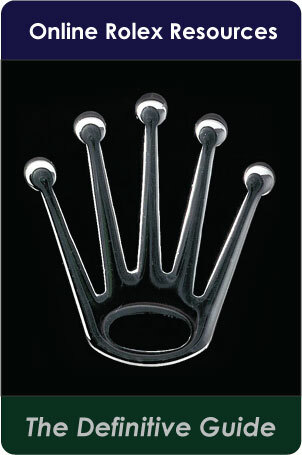 So, was the design of the Royal Oak influenced by the Rolex Texan? 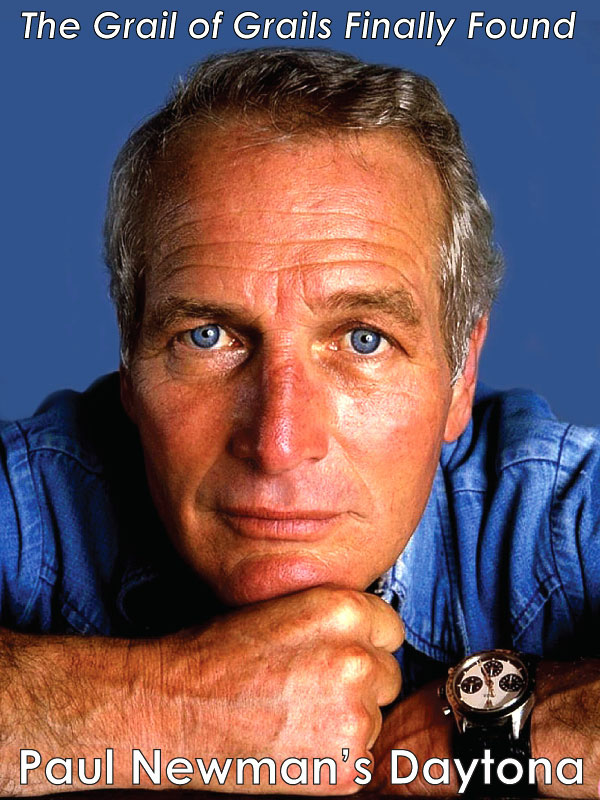 We can’t say it with absolute certainty, but the fact that they both came from the mind of the most creative watch designer of the 20th century, and given the closeness in timing, it would be extraordinary if it wasn’t. So my best guess is the "long-term colleague of Gerald Genta's" that James Dowling is referencing read Constantin Stikas' interview of Gérald Genta, and repeated back parts of it to James Dowling, but the interviewee confused the Gérald Genta's regret that he did not design the 'Oyster' with the 'Datejust'. Obviously there is a HUGE difference between the Datejust and Oyster. Also, it appears James Dowling extrapolated that when his interviewee said Gérald Genta "Only ever designed one watch for Rolex...It was their first quartz watch, many years ago", he mistook the Rolex Cellini or King Midas for being the 'Rolex Texan', or Quartz Reference 5100. 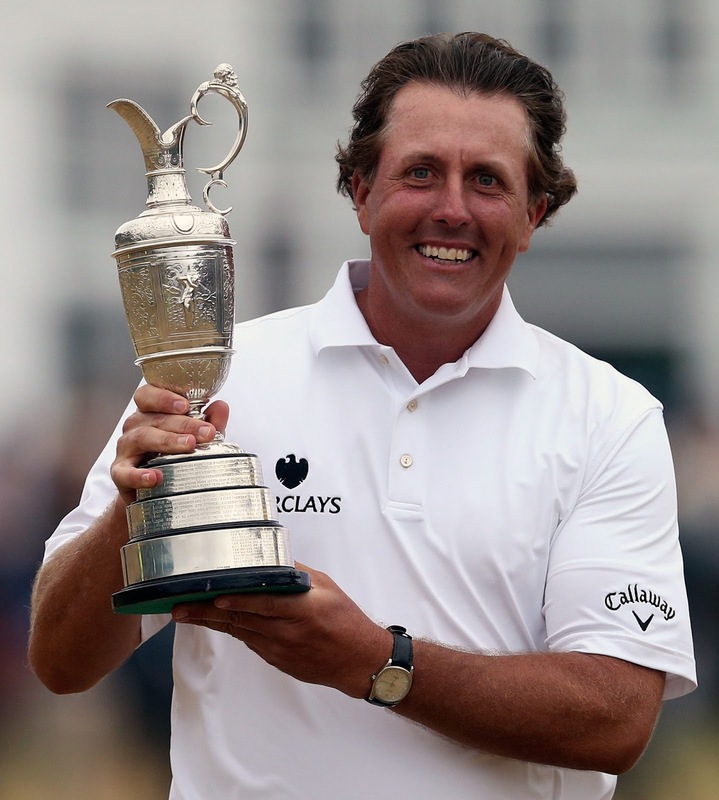 Either way, I hope I just successfully separated-the-fact-from-the-fiction on that potential Rolex myth that was put forward incorrectly by James Dowling. I recognize that perhaps I somehow am missing something, in which case I would invite James Dowling to set the record straight and correct this apparent mistake or misunderstanding. 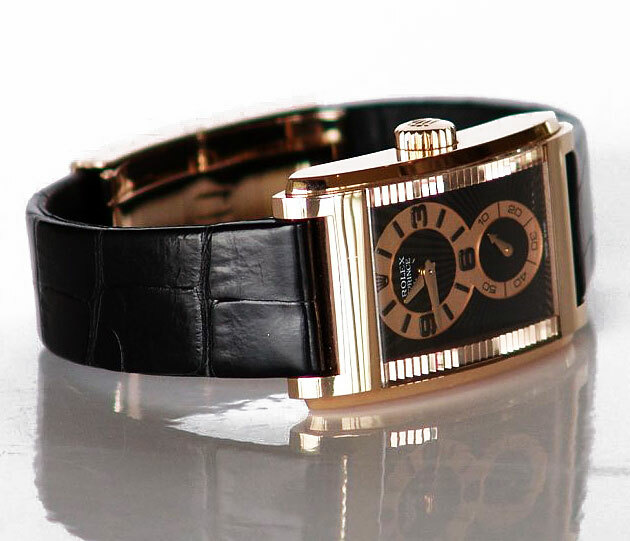 "Creator Gerald Genta, drew inspiration for King Midas Rolex from the geometric designs of ancient Greece. The case design is based on the famous Parthenon Temple in Athens." On an interesting side note, Gérald Genta was once asked what kind of watch he wore, and he responded "I don't like watches! For me, watches are the antithesis of liberty. I am an artist and painter. I hate having to adhere to the constraints of time. It irritates me!...It is somewhat pejorative. However, though I don't like wearing watches, I do really like creating them!" 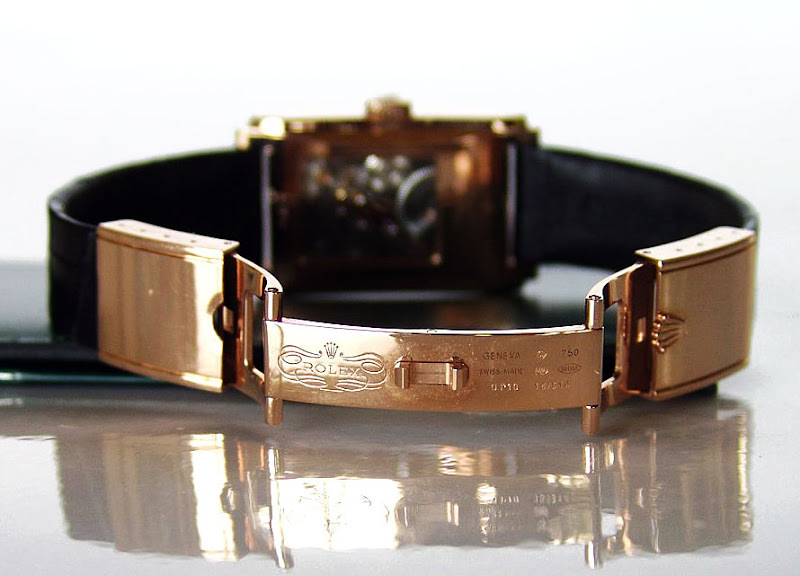 One thing the Rolex Quartz Reference 5100 (1970) and King Midas Reference 9630 (1964) model had in common, is they were both limited edition watches that Rolex made 1000 of each model, and both models were engraved with their unique number on their reverso. 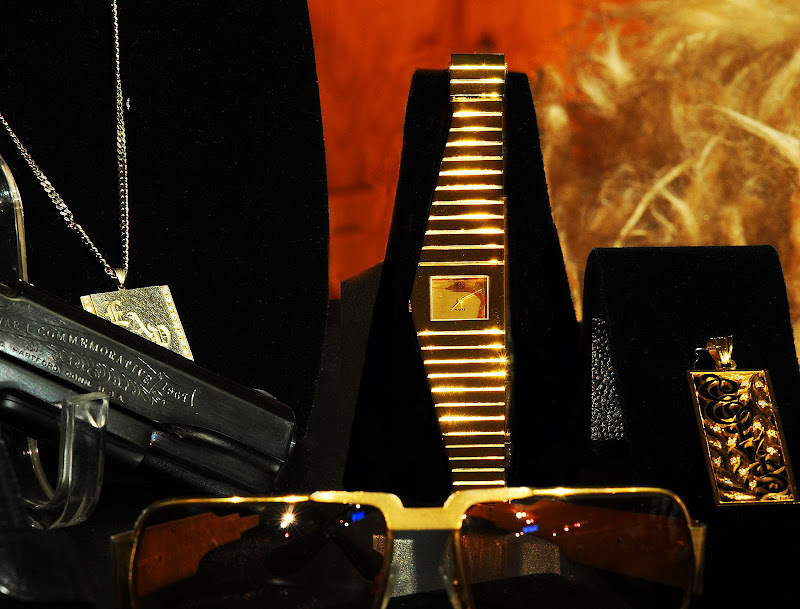 Elvis' beautiful Limited Edition Rolex King Midas is pictured above with matching trademark custom Sunglasses. His custom 50th Anniversary Limited Edition Colt 45 is pictured on the left. 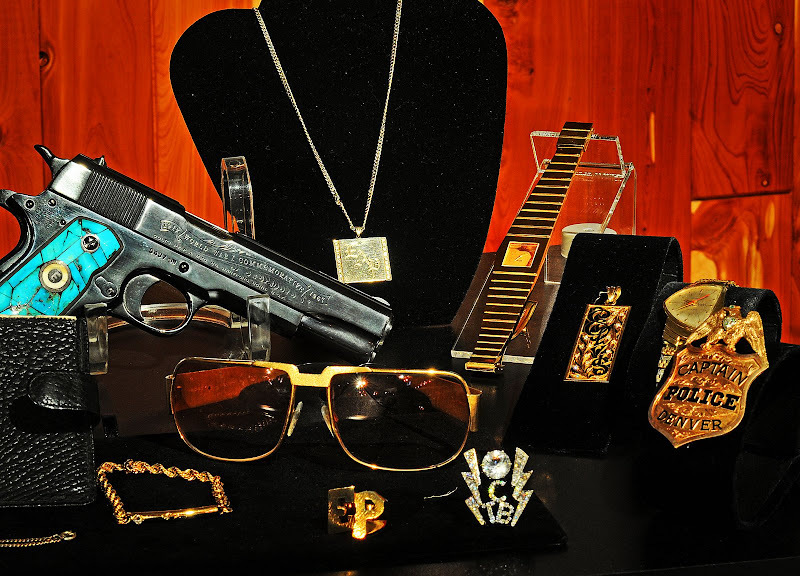 In the photo below you see Elvis' Diamond TCB (Tanking Care of Business) pendant and on the far right you see Elvis' Denver Police Captain's badge next to his Hamilton watch. 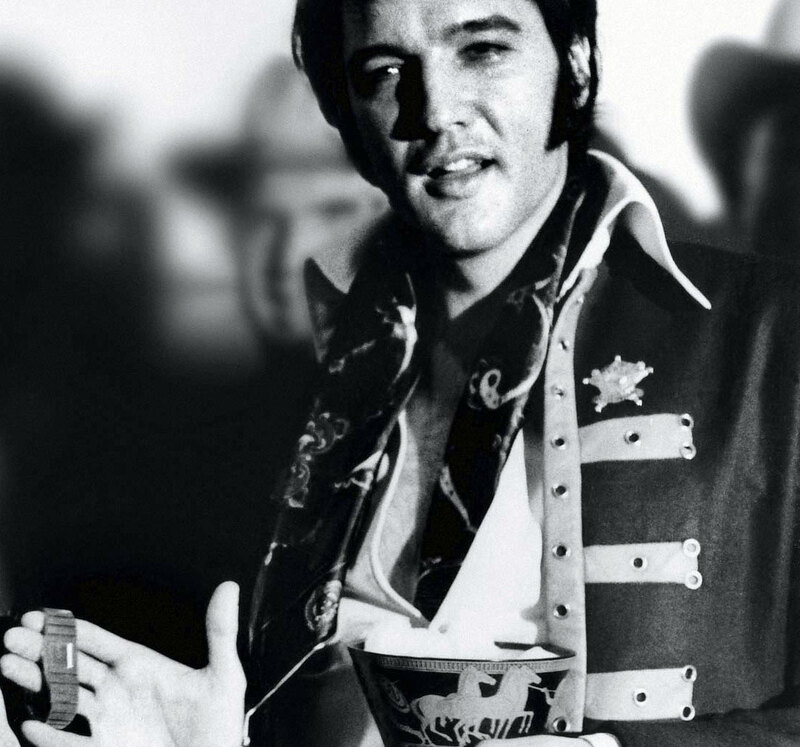 In the 1970s Elvis became obsessed with Kung Fu and collecting badges. 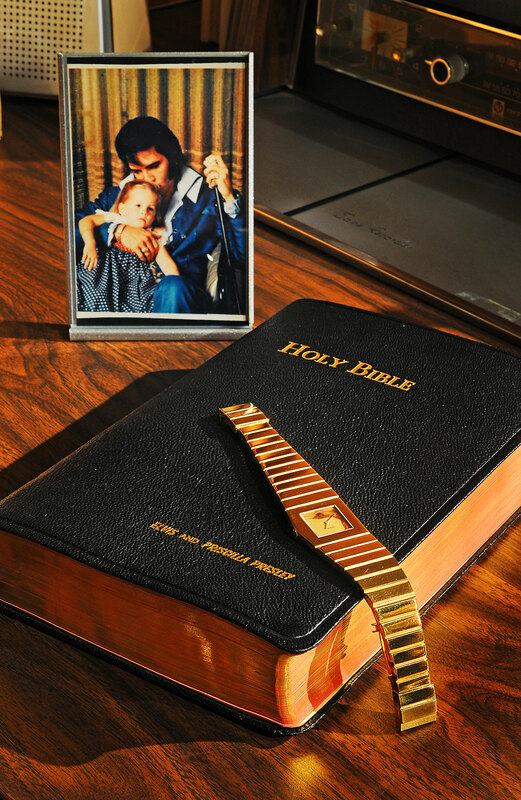 Elvis wore his Limited Edition Rolex King Midas quite a bit and it appears he wore it swimming or in a hot tub because it appears to have water damage on the dial. 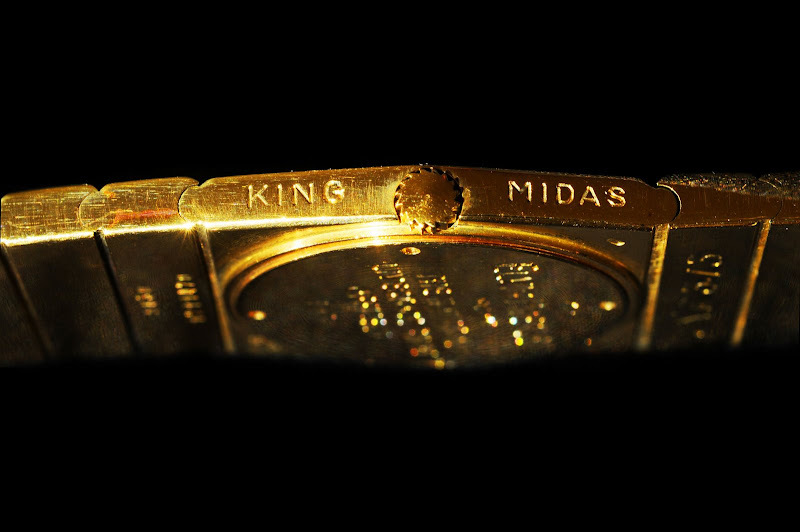 The King Midas was a hand wound watch that was not an Oyster. Rolex made 1000 Original King Midas watches and Elvis owned and wore number 343, which ironically was a left handed special for south paws. 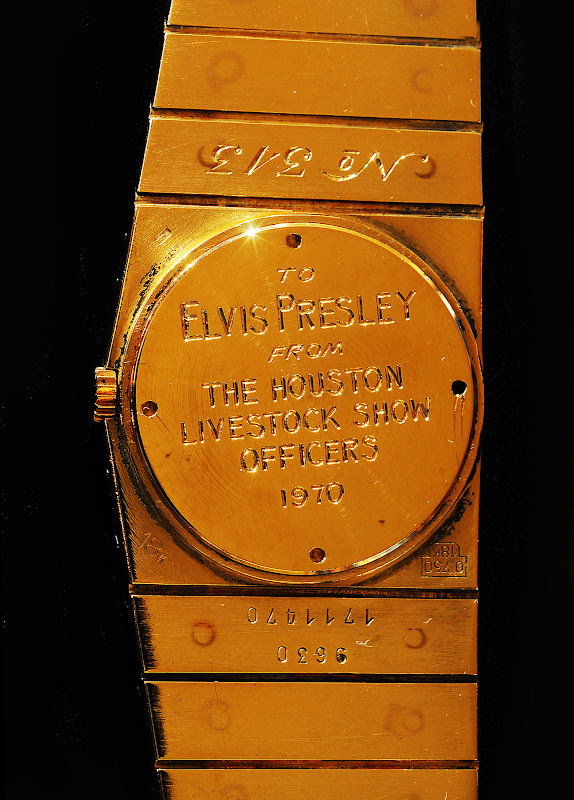 The back in engraved and reads "To Elvis Presley From The Houston Livestock Show Officers 1970." 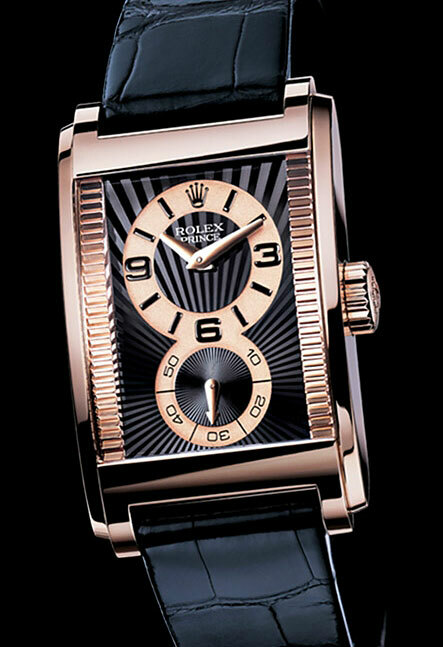 The original Limited Edition King Midas was NOT a Rolex Cellini. It had a standard Rolex Midas designation. 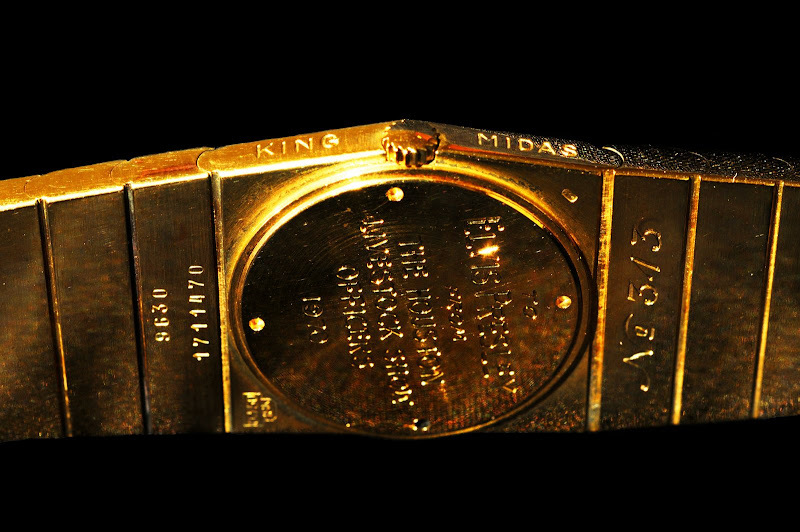 The words King Midas were engraved on the side of the watch as seen below, and had a winding crown that was shaped like the sun. 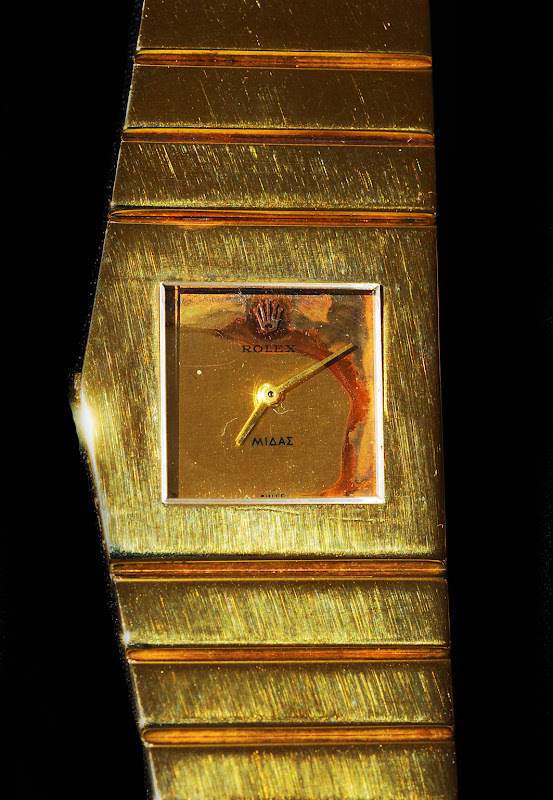 When Rolex originally introduced the King Midas in 1964 it was the heaviest gold watch money could buy. 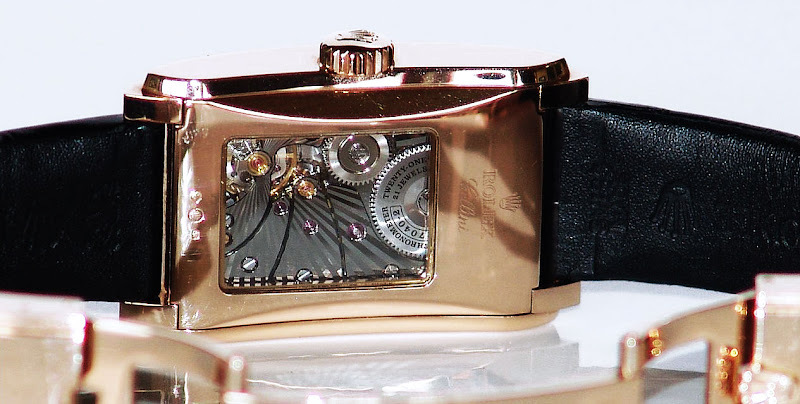 It was also the first watch made with a synthetic sapphire crystal. 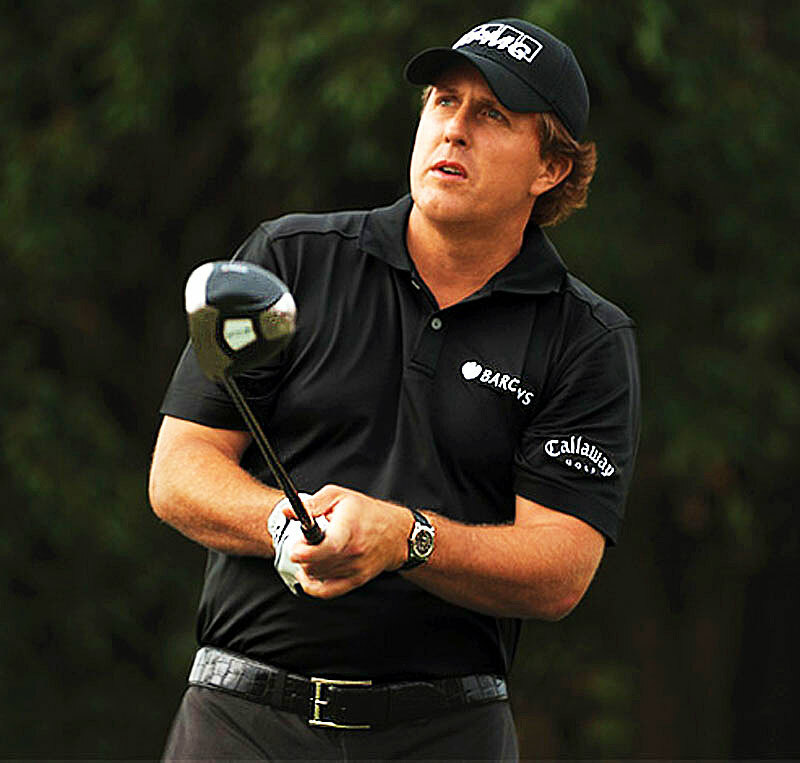 Years later, Piaget came out with a model named the Piaget Polo that was three grams heavier. 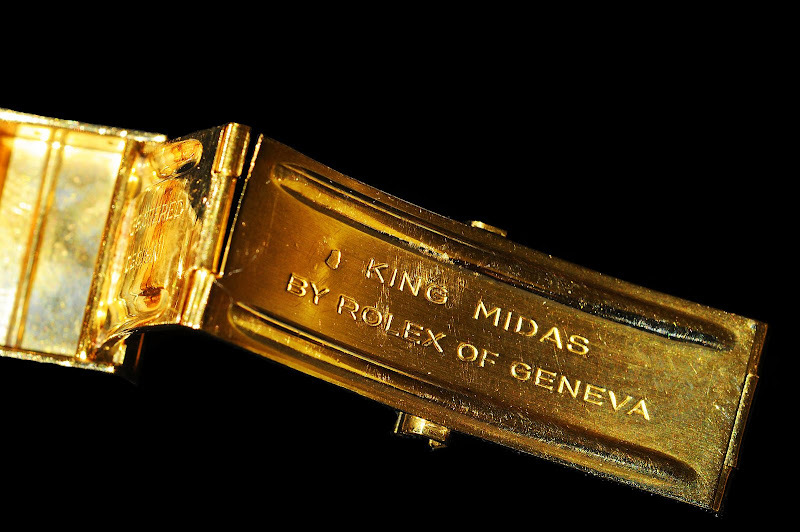 The clasp had KING MIDAS BY ROLEX OF GENEVA etched into the clasp as seen below on Elvis' watch. 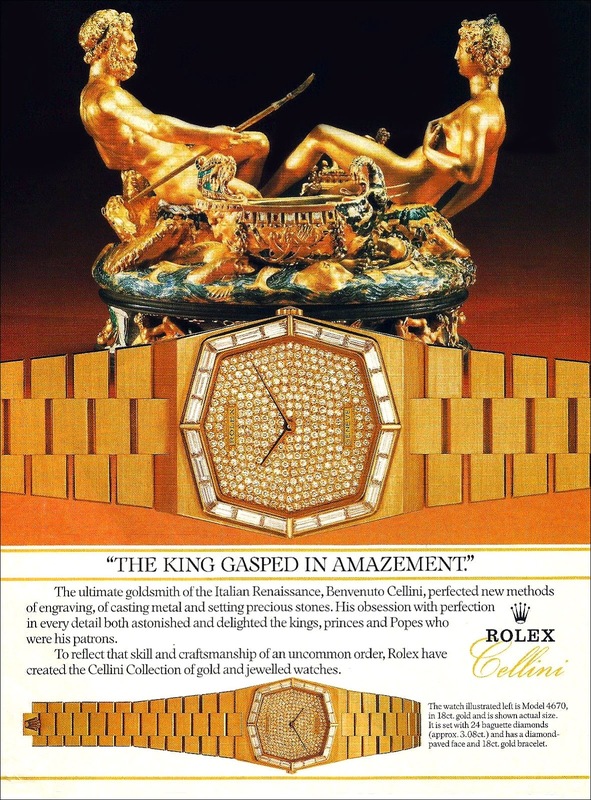 So if the Rolex King Midas was not a Cellini, what does it have to do with Cellini? I believe this Rolex watch provided the ethos for the Cellini line. Ironically, Rolex later made Rolex King Midas Cellini models. As I mentioned earlier the King Midas was launched at the same time as the first Rolex Reference 5100 model in late 1969 or early 1970. Either way, the watches obviously began development as far back as 1968. Maybe even earlier? The first Rolex Prince came to market in 1928 and was an instant success, so much so it really established Rolex as a serious force in the watch world. The original Rolex Prince was an extremely elegant, Art-Deco masterpiece and established its unique trademark style with separate hour and minute hands. 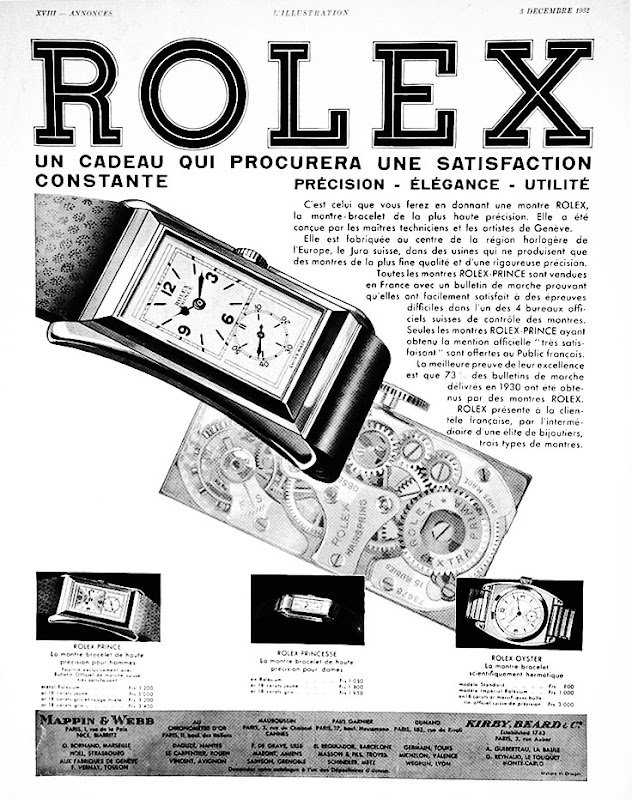 The French Advertisement above is from 1932 and it says the Rolex Prince possesses the perfect balance of Precision, Elegance and Utility. Rolex stopped making the Prince in the early 1950s, but collectors have remained very passionate about collecting the Art-Deco Masterpieces. 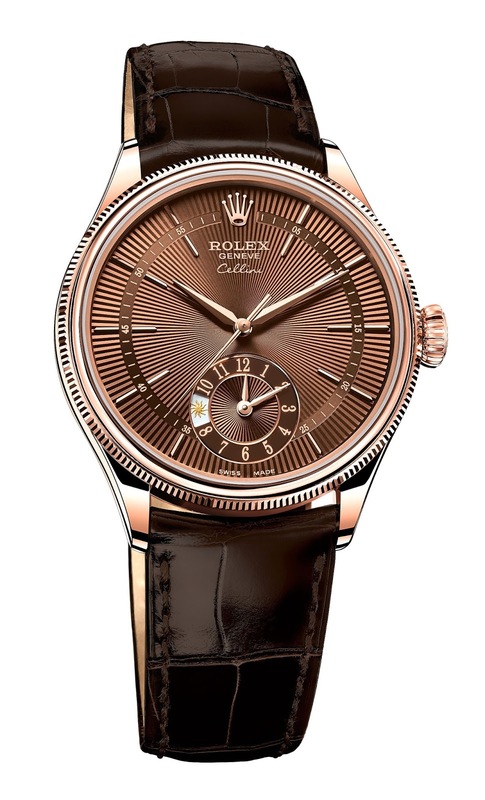 In 2006 Rolex surprised the horological world when they brought back the Rolex Prince as part of their Cellini line, as seen above in Pink Gold. This model has a stunningly beautiful Sunbeam Rayon Flammé De La Gloire dial with Arabic Numerals on the precisely decorated dial that matches the same design element on the movement. The new Rolex Prince comes standard with the transparent display case-back so you can see its beautiful rectangular movement, which, of course, is a first for Rolex. The Rolex Prince has a very elegant butterfly invisible folding clasp that is a work of art in and of itself. 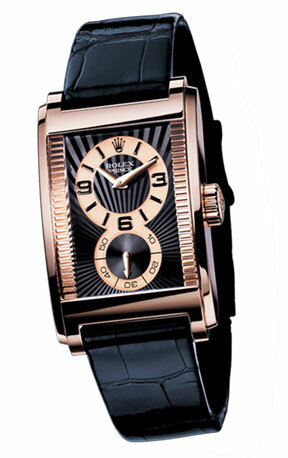 The Rolex Prince comes in 4 different models and and is available in 18ct yellow gold, white gold and Everose Gold. As you can see by looking into the back of the display caseback the Rolex Prince is not automatic and requires hand winding. I also think it is not an Oyster and thus it is not water-proof, but I am not certain. In the future we will be taking a look at the other Rolex Prince Models. With the advent of the new generation of Rolex Prince watches, Rolex has decided to make them part of their Cellini line. One thing is for certain, with the re-introduction of the Prince and that is that it demonstrates Rolex' commitment to design excellence as well as their reverence for following their retro design language. 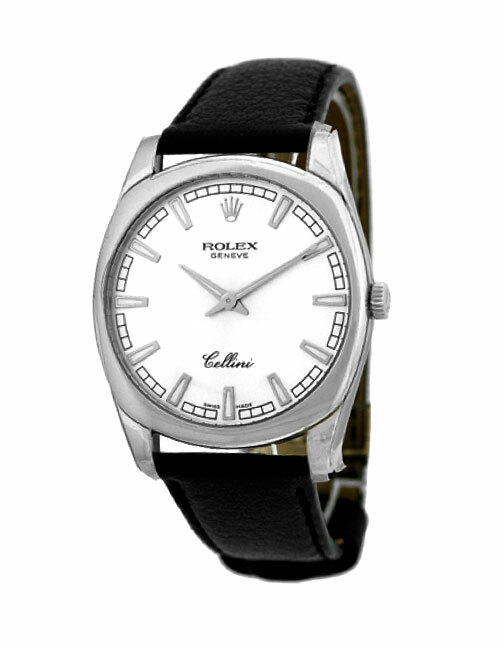 The Rolex Cellini Prince is an Art-Deco, Minimalist Masterpiece!!! 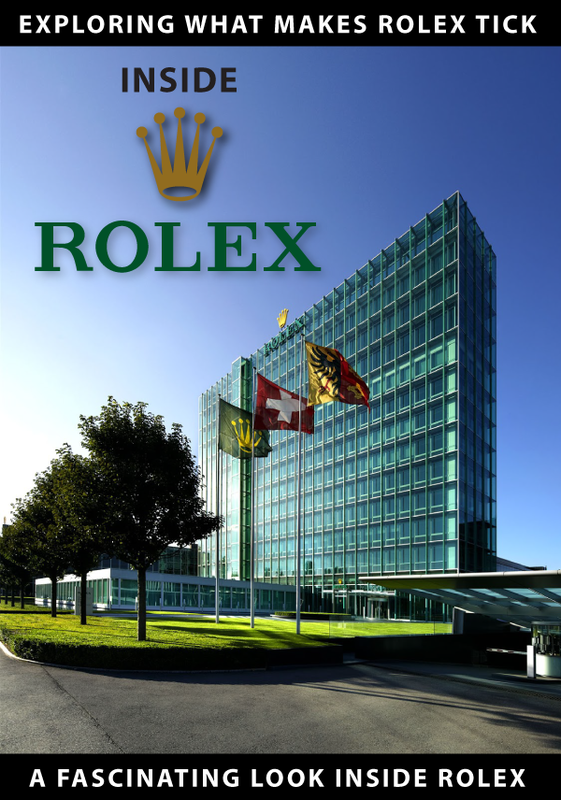 BaselWorld 2016 begins in 10 days on March 17, 2016, and as always, it will be very interesting to see what new models Rolex introduces. This being said, I thought it would be interesting to take a look back at a really cool watch Rolex introduced year before last. At BaselWorld 2014 Rolex introduced an all-new Rolex Cellini model named the Dual Time. 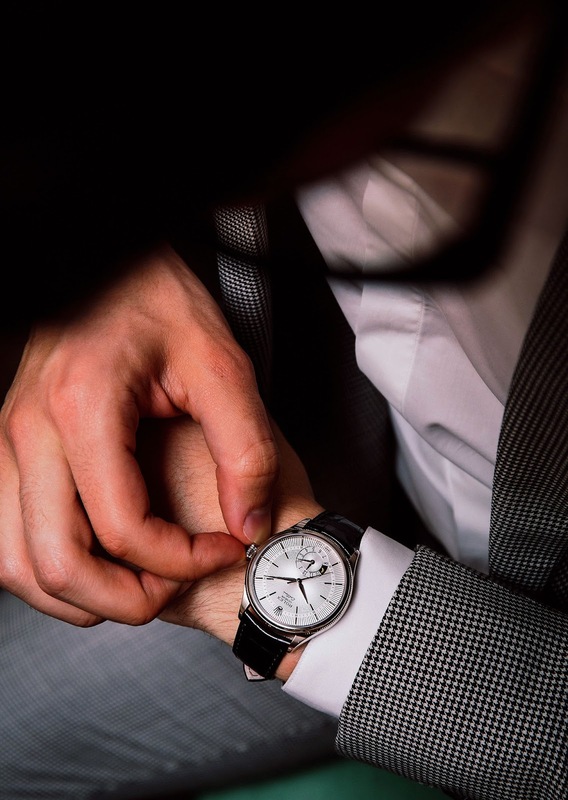 Not so long after, WatchAnish published the first wrist-shot of the new Rolex Cellini Dual Time dress watch as seen below. I like how super-simple the user interface is on this watch in the sense that it basically has two different watch faces.